We’re in the final decent to the start of the 2015-16 school year in Los Angeles…let the scramble begin! 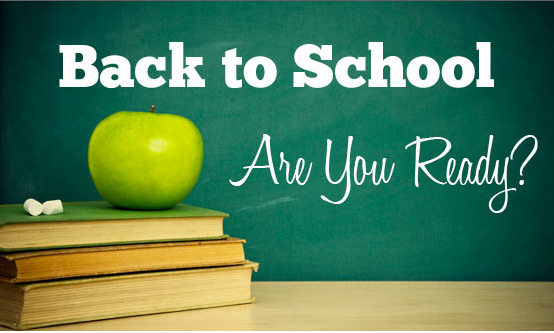 For LAUSD students, school starts this Tuesday, August 18th. 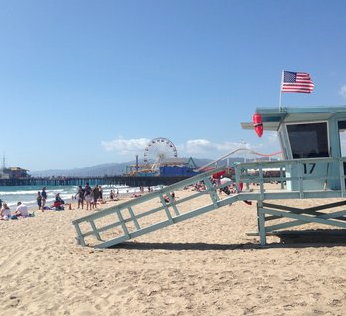 For Santa Monica-Malibu it’s Thursday, Aug 20th, and for Culver City you get ’til Monday, Aug 24th. And for some lucky indie charter students, you still have a week or two to go, but for others school started a few days ago on the 11th! Wah. And of course your stylish new school wardrobe…unless by that we mean the regulation khakis or navies and school logo’d polo shirts you’re required to wear. It’s also time to consider a haircut and perhaps a deep conditioner from so many sun-stripped summer days at the beach. Some lucky secondary (middle/high) schoolers will actually get the opportunity to deck out a locker, which opens up a plethora of over-priced fashion accessories like plastic chandeliers, stylish wallpapers, shelves, rugs, magnetic organizers, mirrors and cup holders. You can Google “Locker Makeover” for some fun ideas both retail and DIY. Depending on the school, your student might need to cram in any required summer reading if they didn’t get to it already – check your school’s website or enrollment/welcome packet. This is typically for secondary students, but you’d be surprised how many kids forget this one. Let’s just say there may be a last-minute trip to your local library or bookstore (or Amazon Prime!) in your future and some late-night reading in order to get your student up to speed for the first day of school. Also, make sure your child’s shots are up-to-date. There’s a host of required immunizations and corresponding paperwork needed in order to enter Kinder, and incoming 7th graders must also have proof of their Tdap shot or they will not be allowed into classes. (I’ve literally seen schools keep un-reported or un-immunized students in the auditorium until their immunization paperwork arrives.) Can’t get in to see your doctor? No worries. Shots can be had without an appointment at many local pharmacies, like CVS or Rite Aid. Note: With the recent passing of SB277, this is the last year for Personal Belief Exemptions until January 2016, when the new law goes into effect. Heads up, I’m still getting emails daily announcing school openings (I’m posting them on my FB wall as they come in*), so be prepared for the unexpected offer off a waitlist to literally fall out of the sky in the next few days or even weeks. Remember, Magnet programs have until Sept 14th to fill any vacant seats, many under-enrolled schools or expanding new charters are calling for students, which combined creates a corresponding ripple effect down all the related waitlists. It really does happen to many families this late in the game, so don’t be surprised if it happens to you. If your student has been having lazy summer sleep schedules, staying up late and sleeping until noon, you might want to roll back that schedule now, start setting their alarm for their typical school-day schedule, and practice getting up early in order to acclimate back, otherwise it will be a rude awakening the first day that alarm goes off at the crack of 6a! Finally, do your best to RELAX and enjoy the final days of summer and get those end-of-summer pool parties, beach outings and BBQs booked. School will be here soon enough, and then we’re all off to the races once again. Cheers to my families for being ready for back to school! *If you hear of any school openings, please let me know and I’ll post them on my GMG FB wall. This entry was posted in GoMamaGuidance and tagged adjust sleep schedules, back to school, CCUSD, enrollment, first day of school, immunizations, last minute option, LAUSD, lockers, preparing for school, school checklist, school supplies, SMMUSD, summer reading by gomama. Bookmark the permalink.